The Surface Laptop combines mobility, performance and elegance in one slim device. With a weight of only 2.8 pounds and a battery life of up to 14.5 hours, the device offers the perfect balance between performance and mobility. The brilliant 13.5-inch display enables fast and natural navigation via touch. High-quality materials ensure durability and comfort during use: the keyboard is covered with a soft and resistant microfiber and offers a pleasant typing sensation. 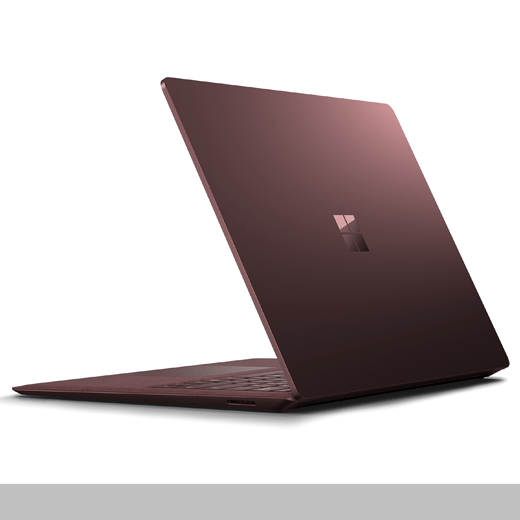 The Surface Laptop comes with Windows 10 S preinstalled, a special configuration of Windows 10 Pro optimized for maximum security and performance. Designed by: the Microsoft Devices Design Team for Microsoft Corp.